By now my Meatloaf “issues” have been pretty thoroughly discussed and happily conquered here at Idiot’s Kitchen. 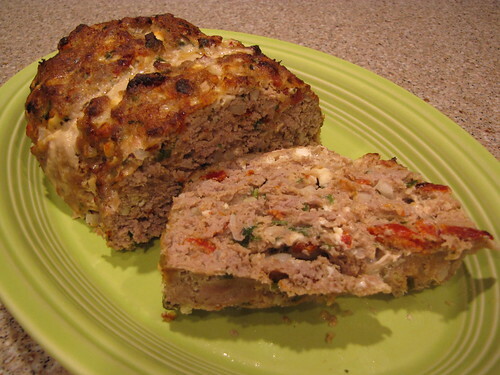 So I’m not sure exactly why my husband was so surprised to find this Turkey Meatloaf with Sun-Dried Tomatoes and Feta Cheese on the table. 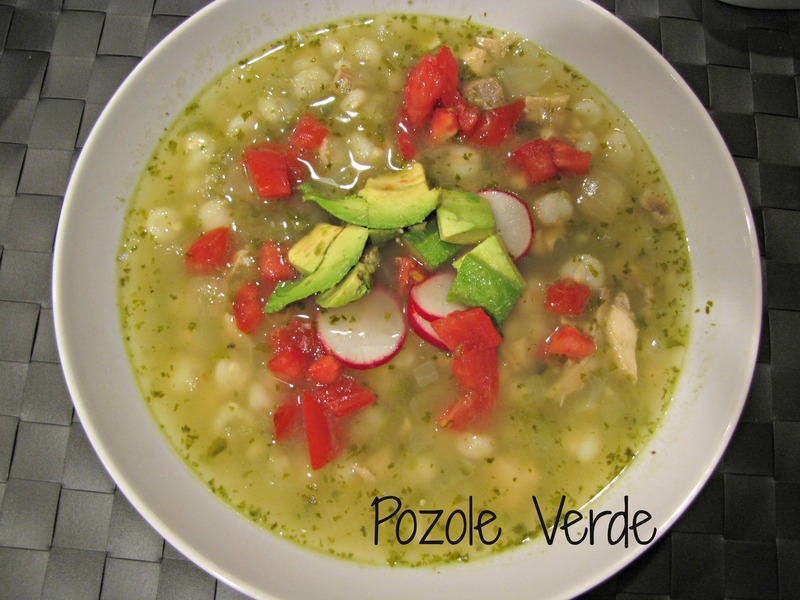 This is a nice balance between light and hearty. Light because instead of red meat, we’re using ground turkey. Hearty because this baby is FULL of flavor. See those little red bits of sun-dried tomatoes? And the little white pieces of feta cheese? Flavor galore. 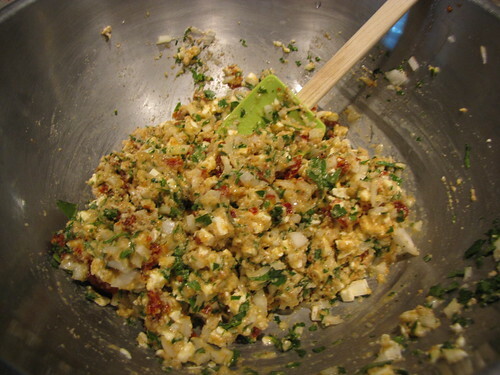 Ground Turkey, Eggs, Parsley, Garlic, Onion, Feta Cheese, Sun-Dried Tomatoes, Milk, Bread Crumbs, Salt & Pepper. Preheat the oven to 375 degrees. Prepare a broiler pan by pouring 1 cup of water in the bottom and coating the top with non-stick cooking spray. Just like the fabulous Apple Meatloaf recipe, we’re going to assemble all of the non-meat ingredients first. 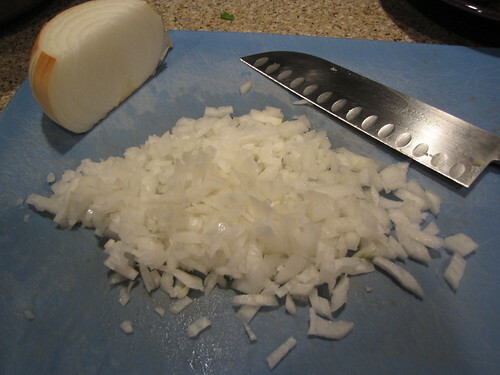 Finely chop 1/2 of a medium onion — about 3/4 cup when chopped. 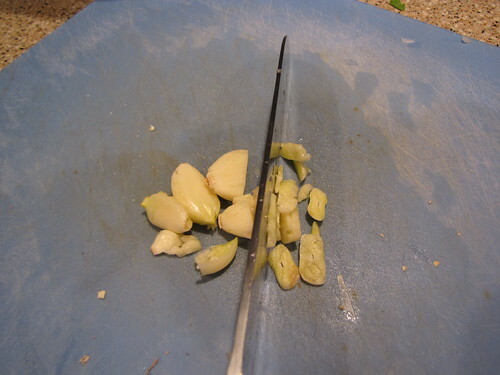 Mince 3-4 cloves of garlic. 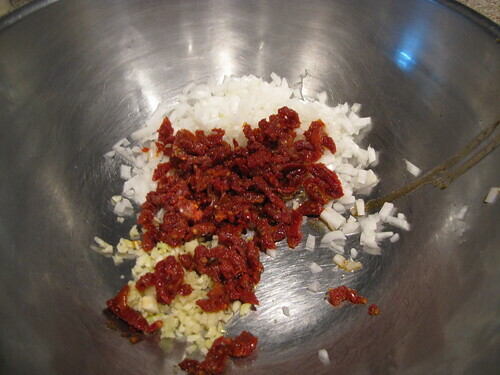 Chop up 1/2 cup of delicious sun-dried tomatoes. 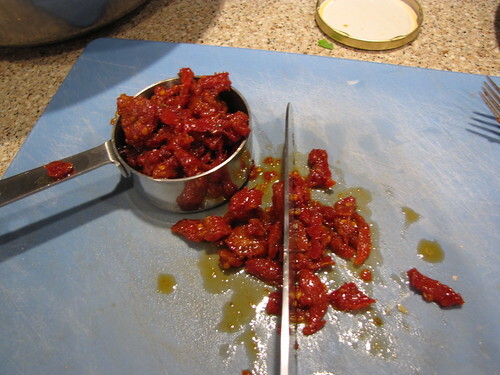 The sun-dried tomatoes come in a jar packed in olive oil. I like to buy the ones that are already sliced — just a little more chopping gets them into tiny, bite sized pieces. Save that tomato flavored olive oil and drizzle it on pasta or a vegetable salad. 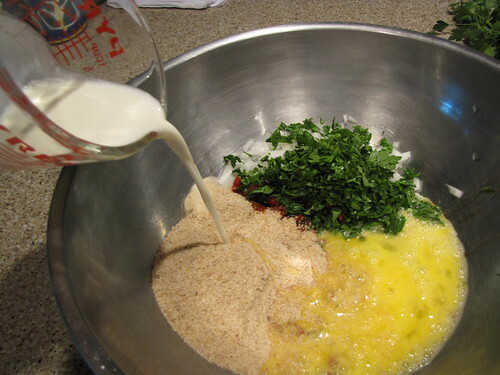 Grab a large mixing bowl and start assembling your ingredients as you get them chopped. 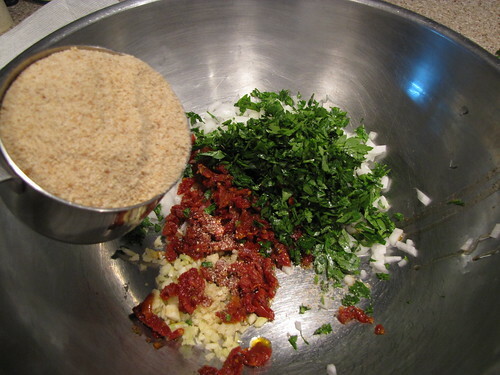 and add the parsley and 1 cup of plain bread crumbs to the bowl. 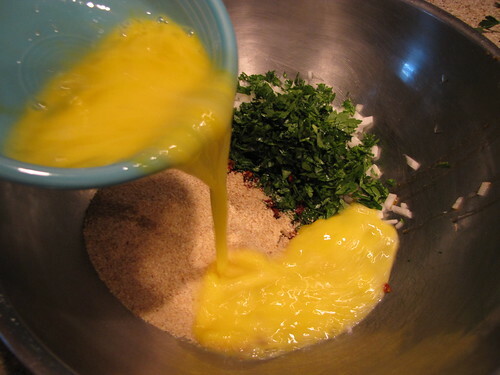 Lightly beat 3 eggs to break up the yolks and add them to the bowl of veggies. 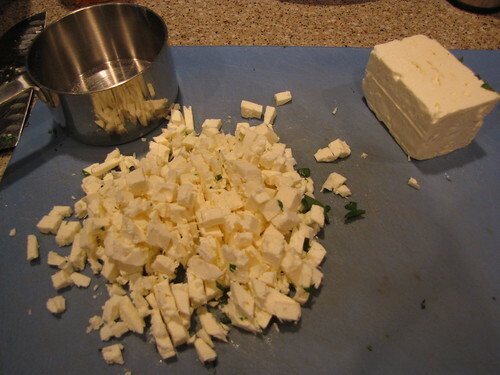 Chop up 1 cup of tangy feta cheese into very small cubes or crumbles. You can buy feta already crumbled but it’s much more expensive than buying it in a block. You will need just over half of an 8 ounce block of feta. 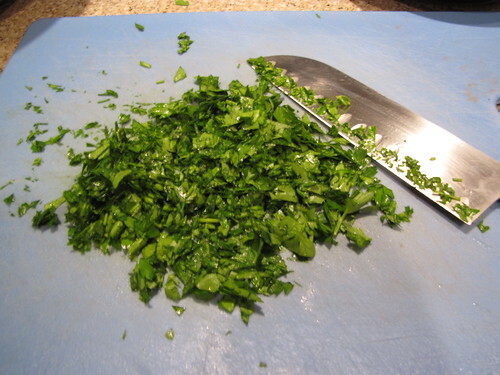 Save the rest for a salad or put it in some scrambled eggs with chopped spinach. 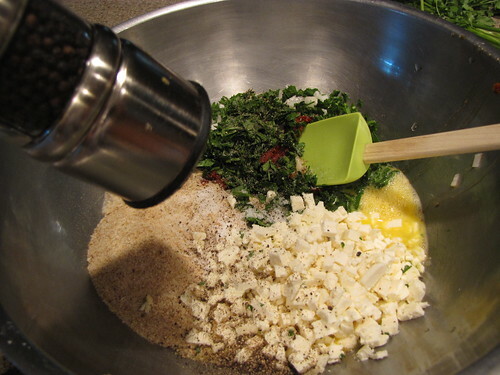 Add the feta cheese to the bowl and season with 1 teaspoon each salt and pepper. 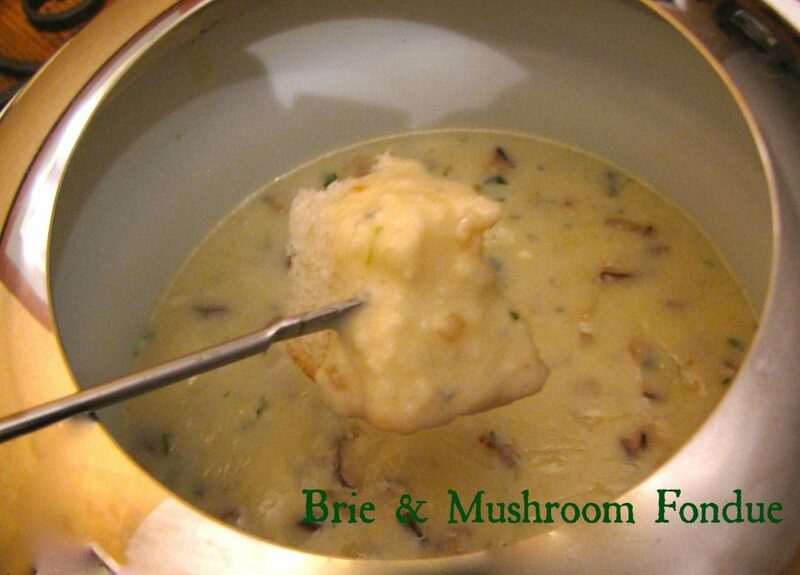 Mix all of the non-meat ingredients together until thoroughly combined. Add 2 to 2 1/2 pounds of ground turkey. 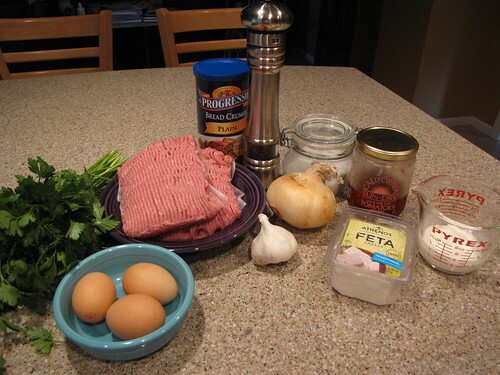 I’m using ground dark meat turkey for it’s flavor. 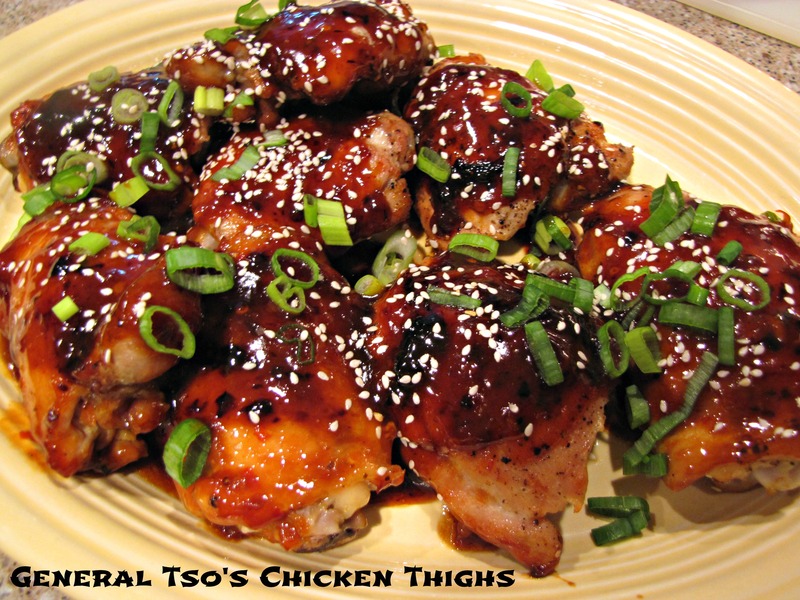 If you want to go even lighter you could substitute white meat turkey for 1 of the 2 pounds but I would not try to make this recipe with all white meat turkey. 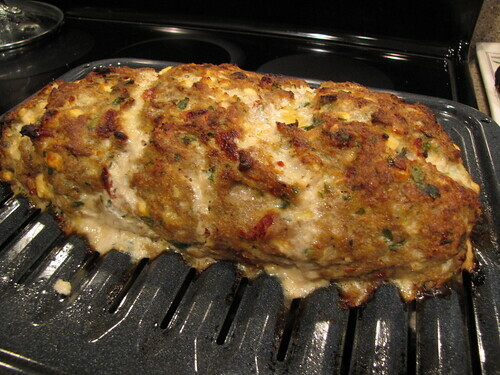 Since there is no added oil or fat, all white meat would dry your meatloaf out too much. By the way, I’m suggesting between 2 and 2 1/2 pounds of ground turkey because for some strange reason, my store sells turkey in packages of varying (weird) sizes. I think they package it to look good on the foam tray and not with recipes in mind. Either way, as long as you’re between 2 and 2.5 pounds, you should be good to go. It’s meatloaf, not croissants…we don’t have to be super precise. Mix the turkey into the vegetables until thoroughly combined then form it into a big loaf on the top of a broiler pan that has been greased or sprayed with non-stick spray. Remember to fill the bottom of the broiler pan with 1 cup of water to add extra steam and moisture for the meatloaf while it cooks. 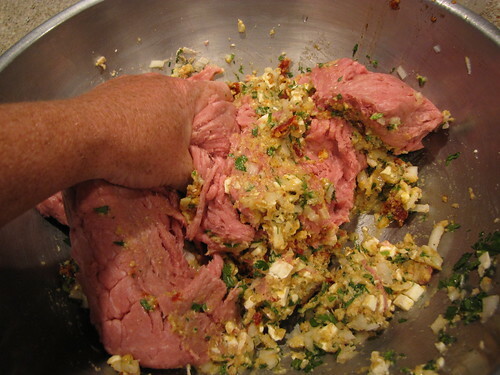 This is the key to moist meatloaf. It makes for easier clean up too. Bake your lovely turkey loaf at 375 degrees for 60-70 minutes, until golden brown and 165 degrees on an instant read thermometer. 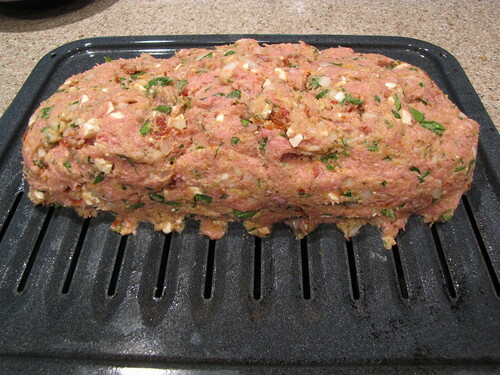 Allow the cooked meatloaf to rest 10 minutes before slicing so that it doesn’t fall apart. 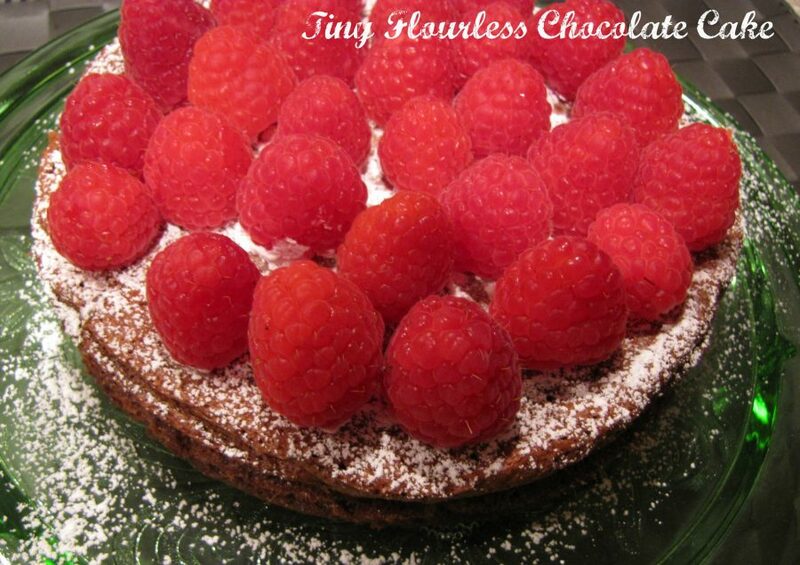 Slice it and admire all those little bits of flavor. Makes 6 -8 generous servings. Great left over and also freezes well.